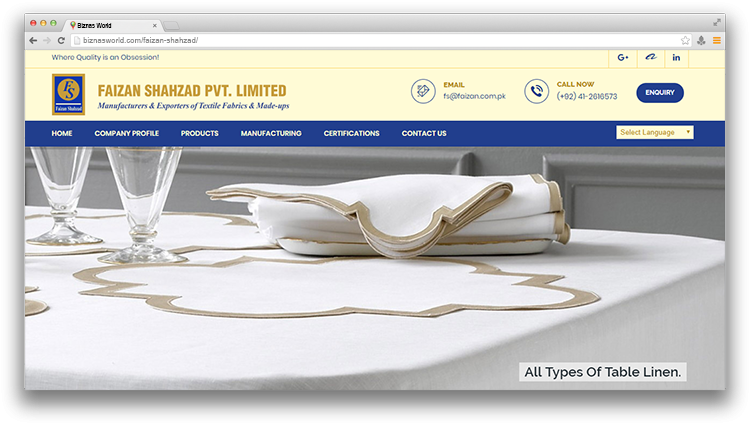 Description Faizan Shahzad (Pvt) Ltd. is located in Faisalabad, Pakistan. Company is working in Cotton, Overseas Business, Import and Export Agents, Clothing and Accessories, Textile business activities. Address Faizan Centre, Street 4, Chiniot- Kutchery Bazar, P.O. Box 828, Faisalabad.